Removalists Bright to Melbourne at Low-Cost! Quick Pick Movers offers you reliable, low-cost removals services where ever you want to move in Victoria. And if you need removalists to take you outside Bright, into country Victoria or even Melbourne, Quick Pick Movers is the Melbourne removalist to call. Our staff have been with us for over ten years and have done countless removals between Melbourne and Bright. We know how to protect your items for safe travel. If you have a Piano or Pool table, we can move them also at the same time and save you 50% on the cost of moving the individual item alone. As a bonus our complete comprehensive insurance also covers Piano’s and Pool tables. As our name suggest we do quick work that is fully insured, so you can rest easy and leave all the work to the movers at Quick Pick Movers. 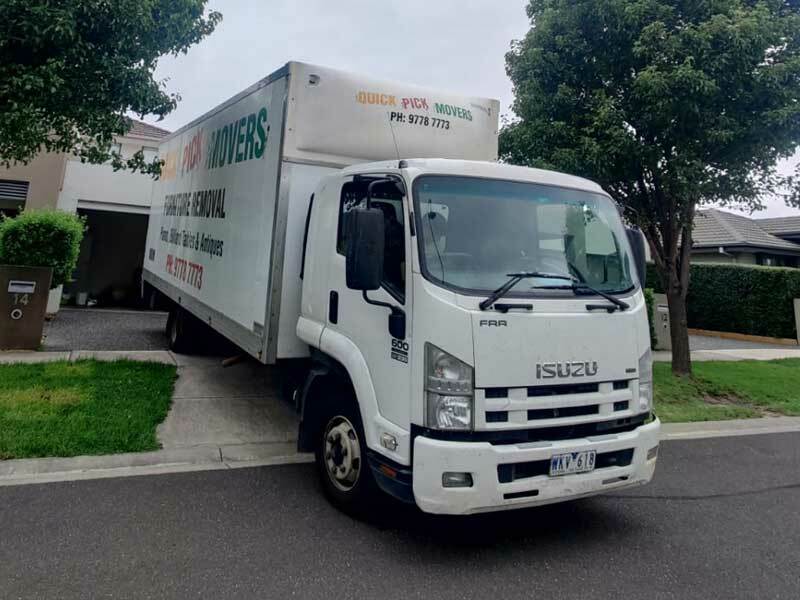 Quick Pick Movers is reliable – the time that you book for your removals will be the time our movers arrive at your home, office or other premises anywhere around Bright. Our removalists are professional and efficient – our moving trucks are new and our movers are uniformed, trained and careful in moving your possessions. We are professional removalists and take pride in our work! Our removals work is fully covered by insurance – if anything should go wrong, Quick Pick Movers is insured. We pack our removal truck well – your furniture and other possessions will be thoroughly packed and padded to minimise the risk of movement or damage during transport around Victoria. Quick Pick Movers offers extra moving services – we can supply packing materials or we can do all packing for you! Quick Pick Movers offering – prompt and professional moving service, make your move with us and save money, choose the specialist! Our removalists know how to move fragile items – whether it be the fish tank, the computer, or the Venetian glass collection, Quick Pick Movers will take extra care in moving your fragile furniture and other items around Melbourne, Victoria or interstate. For a quick but careful move – in and around Victoria, Quick Pick Movers have you covered. Quick Pick Movers is a furniture removalist company to book for home moving, office removals, piano removals, pool table removals and general furniture removals. We can put together a reliable, cost-effective moving package for your move anywhere around Melbourne, into country Victoria or interstate. For pool tables we need the size & for pianos the type of piano on your message below. Excellent service and a great price for a long distance job.